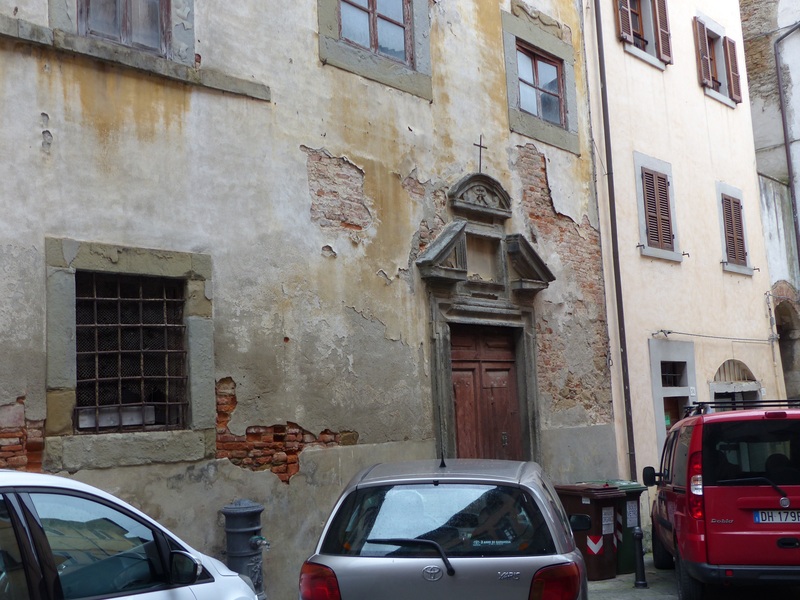 For years she walked down her street without noticing the abandoned Oratorio San Filippino. It is easy to see why, the door is firmly closed and there is not much evidence of what lies inside. One day she discovered what had been hidden for decades and decided something needed to be done to bring this exquisite little church back to life. 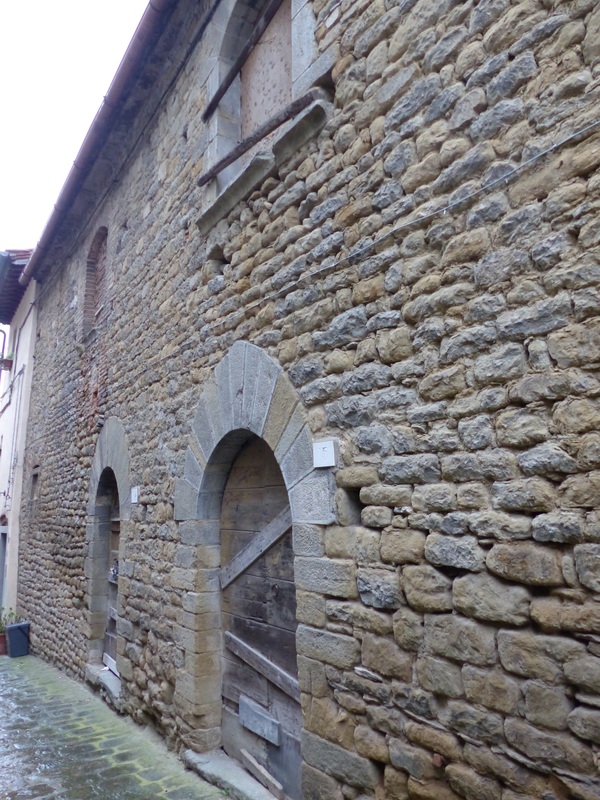 She has created Friends of San Filippino with like minded people to raise money to allow the church to be restored. 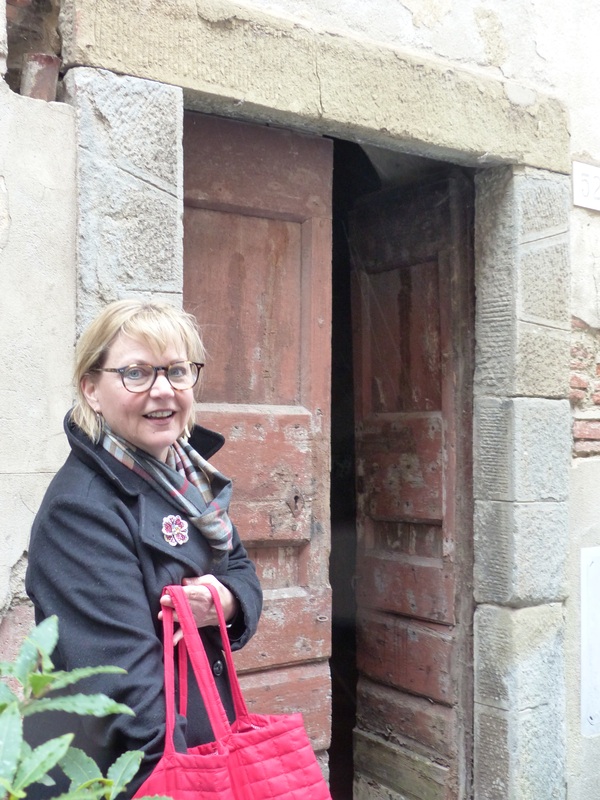 I was lucky enough to to meet Rita and some of her friends in Castiglion Fiorentina and visit the church. We entered through the sacristy. 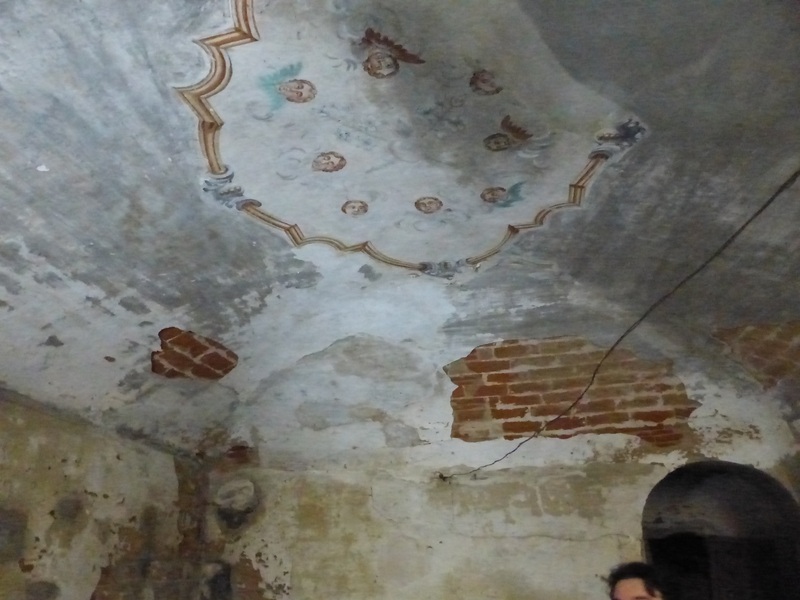 Our guide, Edoardo, showed us remains of the frescoes on the vaulted ceiling and inside a little alcove in the wall. 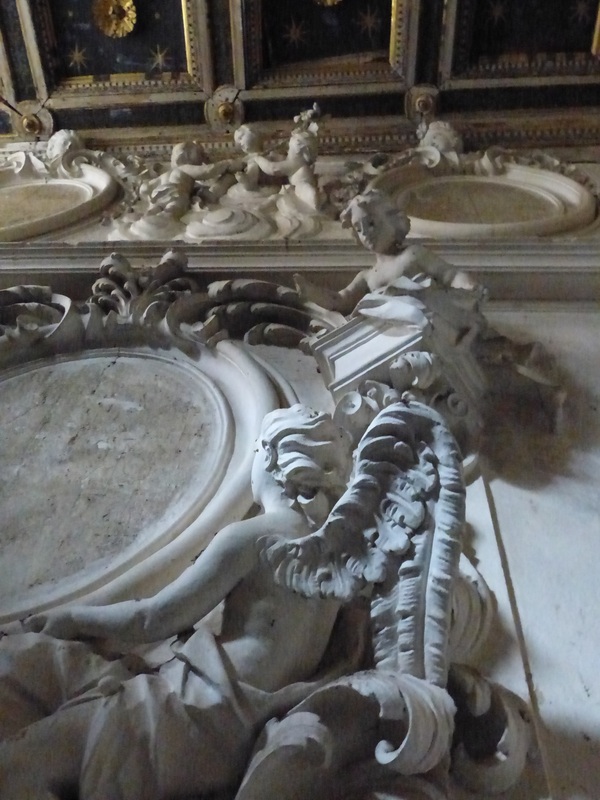 In the 17th century Baroque Oratorio there are many beautiful features enduring despite years of neglect. 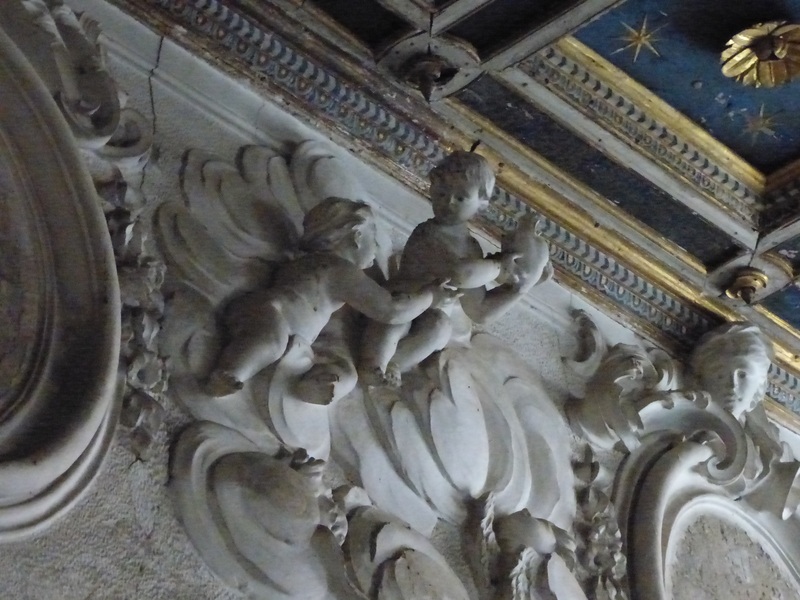 It was one of the first oratories established in Tuscany by San Filippo, known as Saint Philip Neri. 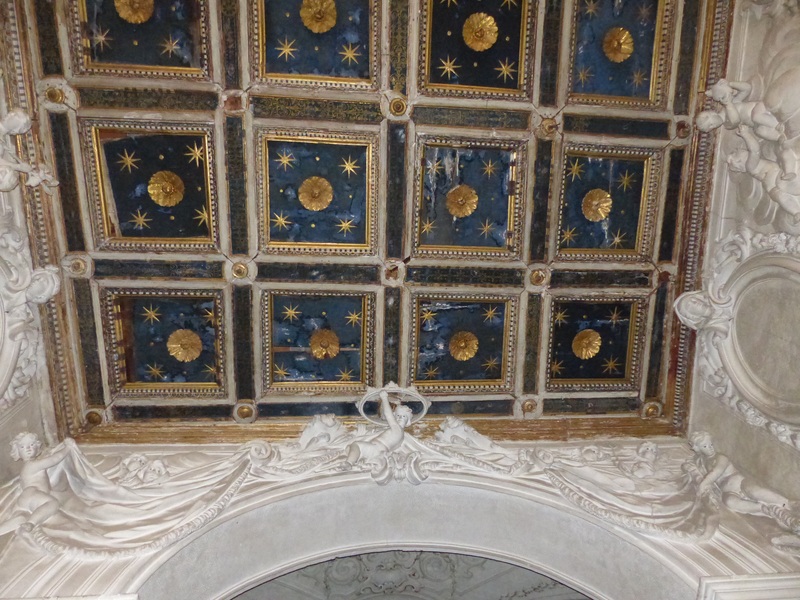 The beautiful wooden ceiling is in dire need of repair. Several pieces of art have been removed for safe keeping, but not much can be done with the sculptures and stone altar until proper restoration begins. At the back of the church are the rooms where the people of the church lived. 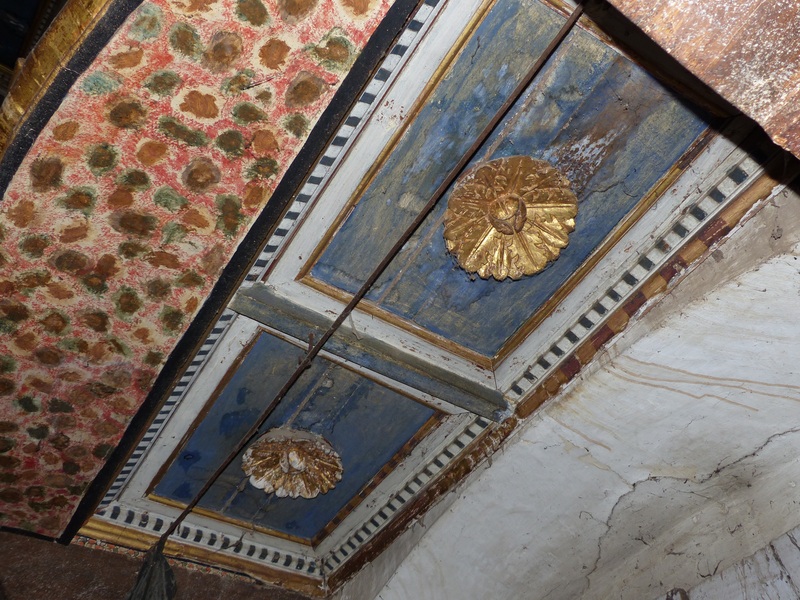 It is also hoped that these rooms can be restored and made available to members of the public. We could only see from the outside as the floors are crumbling and dangerous. 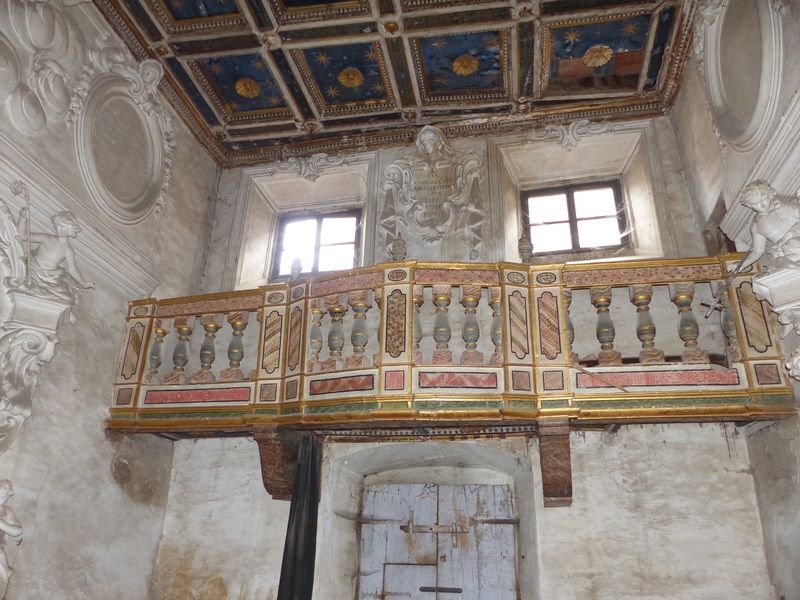 As well as saving San Filippo the main goal of the group is to create a model for others who want to restore important landmarks and help revitalise small towns throughout Italy…every small town in Italy has at least one gorgeous old building just waiting for someone to come along and love it and want to bring it back to life. 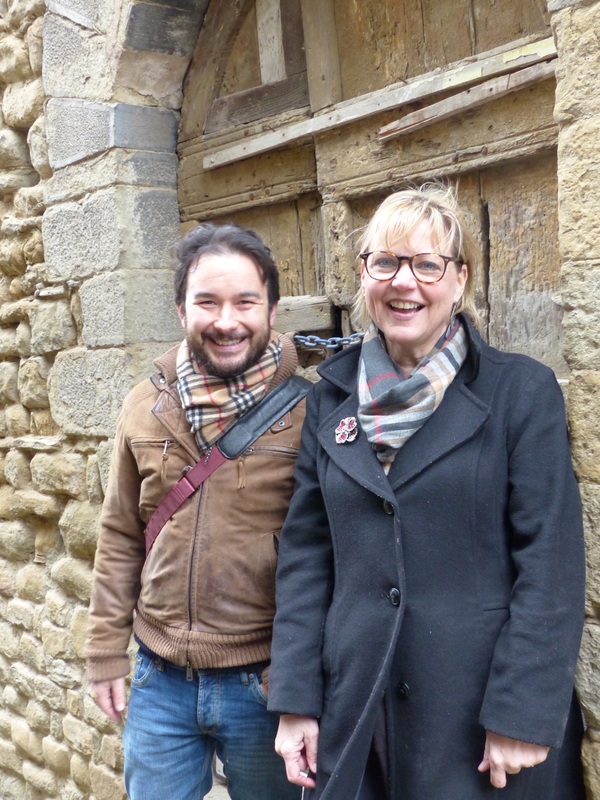 It was great to meet Rita and Eduardo and the lovely Texan friends of San Filippino. I wish them the best of luck with this very ambitious project. Please visit the website of Friends of San Filippo, sign up for the newsletter and help if you can. Share the post on Facebook…spread the word. What a great story. So good to hear about people like Rita. I think this is great. I hope they get all the help they need. I can’t wait to see the restored church. Rita is doing something I’ve always dreamed of doing…how wonderful to receive her story & be able to follow “Friends of San Filippo”! Thank you for sharing her story! Tell all your friends, spread the word. Great blog. Looks like an amazing find. A time capsule of a forgotten era of the past. I think over time it can be brought back and some of the structure repaired but you want to maintain and leave the the original foundations. I’m sure every care will be taken to preserve the original things where possible. How wonderful, it’s just as well there are people like Rita and her friends out there that are prepared to put their time and money into these projects. 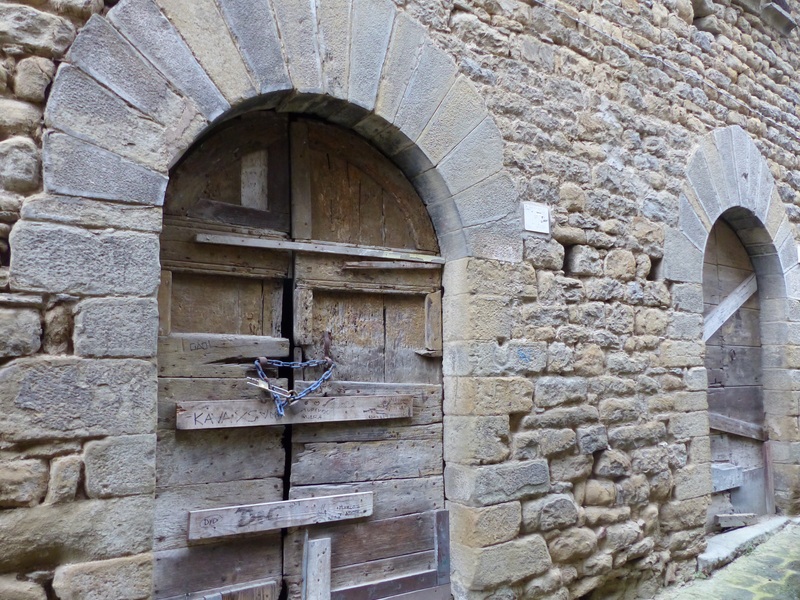 Come on over…Italy is full of projects. What an amazing treasure!!! Wonderful! I hope to see the restoration begin. Yes you will have to document that on your blog too! Won’t it be great to see the church renovated? 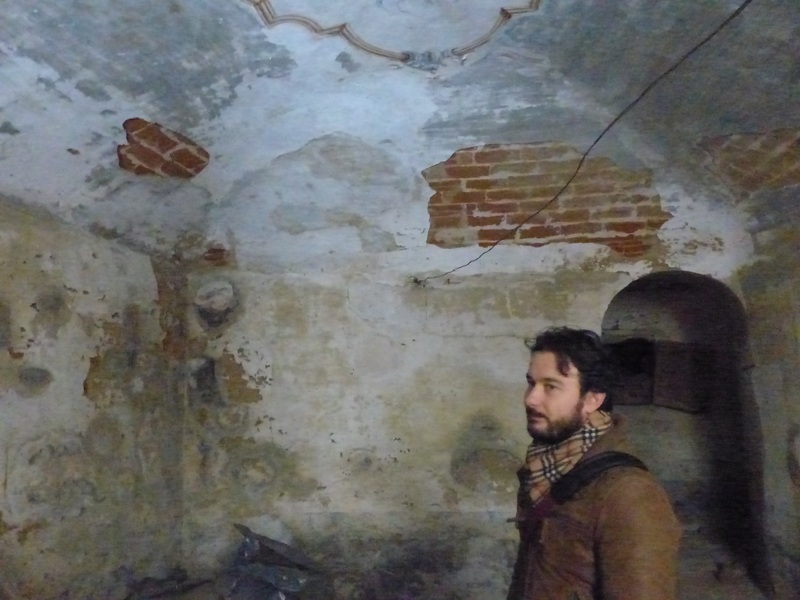 What extraordinary treasures they have uncovered! Thanks for bringing this to us. I hope they continue their work. 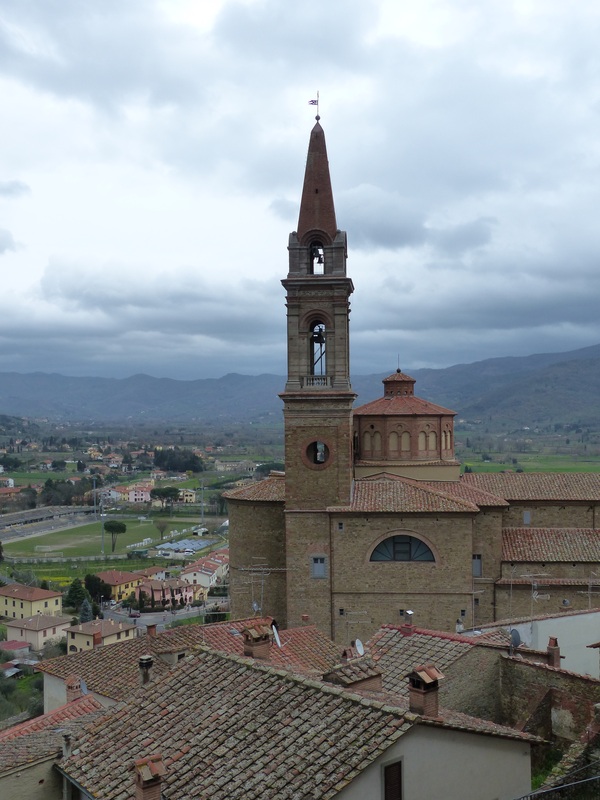 A wonderful post and I love seeing San Filippino through your photos, Debra. I knew you’d be the prefect one to write about this and it’s perfect that you are nearby and had already written about this town!! Brava!! I will share this on all my channels. Thank you for introducing me to Rita. I think what she is doing is great. I really enjoyed meeting her and seeing the lovely little church.